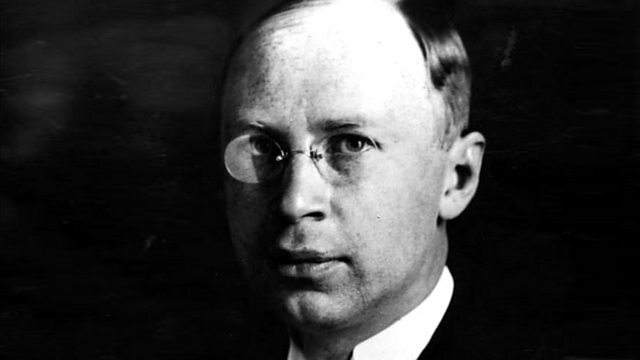 Donald Macleod focuses on Prokofiev's first struggles with the brutal realities of state criticism. With excerpts from Alexander Nevsky, drawn from his music to Eisenstein's film. Donald Macleod explores Prokofiev's first struggles with the brutal realities of state criticism. Featuring excerpts from his cantata Alexander Nevsky, drawn from his incidental music to Eisenstein's iconic film. After his passport was confiscated in the late 1930s it began to dawn on Prokofiev that the life of this "prodigal son" would never be the same again. Under immense pressure to write works that glorified the Soviet state, he made a series of missteps that put his life in peril: first composing a series of insipid agit-prop songs, then an enormous cantata to commemorate the October Revolution in which Lenin and Stalin's texts appeared chilling rather than glorious. As his personal life unravelled, he was saved from oblivion by his music to Sergei Eisenstein's iconic film Alexander Nevsky. Donald Macleod introduces excerpts from the cantata Prokofiev created from that incidental music, as well as his little-known Cello Concerto. Performer: Yuri Serov. Singer: Konstantin Pluzhnikov. Performer: Philharmonia Orchestra. Choir: Philharmonia Chorus. Conductor: Neeme Järvi. Conductor: Neeme Järvi. Choir: Royal Scottish National Orchestra Chorus. Orchestra: Royal Scottish National Orchestra. Conductor: Neeme Järvi. Singer: Linda Finnie. Choir: Royal Scottish National Orchestra Chorus. Orchestra: Royal Scottish National Orchestra.